“Nice shirt? Is that rayon? A report released earlier this month by Rainforest Action Network (RNA) connects tree-pulp-based fabrics like rayon, viscose and modal to decades of human rights abuses. The org isn’t calling out abuses at the factory level, but on the front lines of the plantations from which rayon suppliers get the pulp to make their silky fibres. 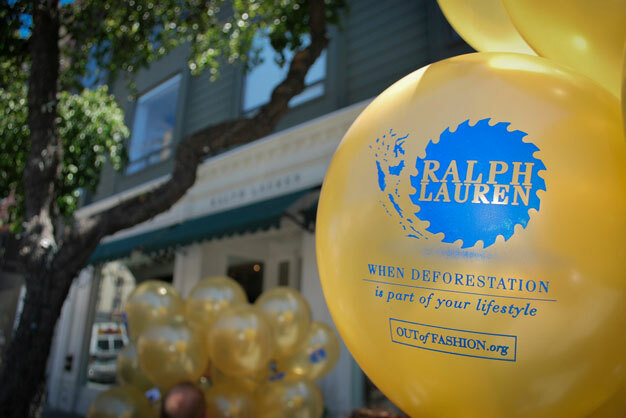 It’s targeting Ralph Lauren and “the Fashion 15” to clean up their supply chains and make sure they’re free of deforestation and rights violations. Thanks to the massive worldwide expansion of mostly eucalyptus and acacia mega-plantations for fabric pulp, indigenous community forests are getting bulldozed, and “illegal land-grabbing is rampant,” says RAN. In its latest report, the San Fran-based org singles out Indonesia’s Toba Pulp Lestari for forcibly seizing land in northern Sumatra to clear-cut forests and make way for industrial pulp plantations. RAN senior forest campaigner Brihannala Morgan says some brands, like H&M, Patagonia and Stella McCartney, are taking action to push for deforestation-free fabrics, but Ralph Lauren and the Fashion 15, including Gaiam, Guess, Victoria’s Secret, Forever 21, Abercrombie & Fitch and many big-name luxury brands, are lagging behind.